But can they make sweaters? 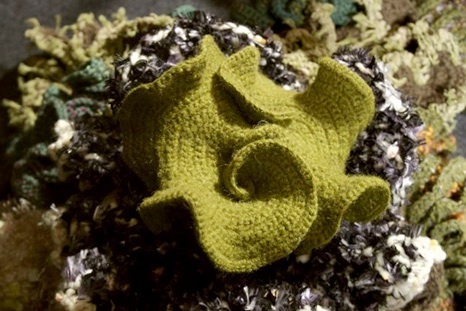 So I read this really interesting article in NYT today about a group that has been crocheting forms to recreate the Great Barrier Reef. Think of it as an environmental version of the AIDS quilt. It sounds like a really creative way to blend art and activism and awareness. I personally have never crocheted, but have always been interested in the process. What a great way to relax, meditate, and make things! I would love to try it, but hate to admit that I am a bit intimidated. I have never been that good at learning those types of things. Possibly because I am left-handed and all instructions are for you dominating righties. Try having to mentally reverse all of the directions in your head to make sense to you. Hard! Maybe if I could find some leftie directions or find someone to teach me. . . any suggestions? « This is hilarious. . .